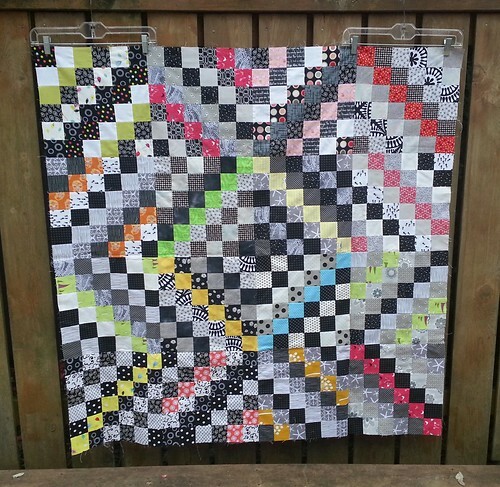 We're excited to participate in Pile O' Fabric's Skill Building Block of the Month this year! This is an optional paid program that PMQG members can participate in with a group discount. This program is in addition to any program (like the 2013 BOM or the 2014 Medallion Along) that the 2015 Officers might put together. All lessons will be online and a new lesson will be posted each month.Participants will need to be able to download and print templates as well as access the online classroom. There is a higher priced option if you would prefer to pay for templates. The original price of the class is $45 for just the class, or $69 for the class plus printed templates, but we will be receiving a group discount. The discount we receive will depend on how many members sign-up. We currently are at a 30% discount! ($31.50 or $48.30 with templates) and only need 4 more people to make it a 35% discount! ($29.25 or $44.85 with templates). If more people sign up the price will continue to go down. (please note, discount will not apply to fabric kits). To sign up, please email us at PMQGEvents@gmail.com. On January 1st I will send in our head count and receive a discount code to distribute. After you receive your discount code via email, you can visit the Pile O' Fabric website to register and pay. 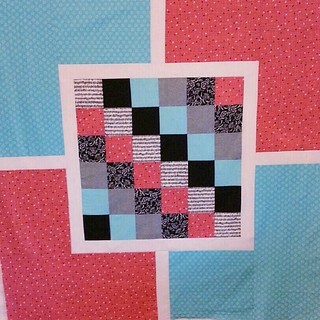 Here are some tips from Michelle for making this block. Block #1970 "Spool Block" 1938 attributed to Nancy Cabot. We were so excited to introduce our Charity ideas for the year at January's meeting! I'm going to lay out all the information here so that it's clear. We had so much information to cover at the meeting and we don't want you to miss any of the important details! As we discussed, we are 'curating' our Block of the Month (BOM) for the whole guild to work on. The idea is that you make one to keep: make a block for yourself, and make one to give: make a block (or more than one!) for charity. You would bring the charity block to the following month's meeting (or whenever you get it done!) Each month we will collect the blocks and pass them out to the newly formed charity bees (more about that below). The blocks you make for yourself would result in a sampler style quilt at the end of the year: you would have 1 each of 12 different blocks if you followed along all year. The charity blocks may be divided out differently depending on how many we get and how much need there is from the bees, but 1 charity quilt might be made entirely from January blocks, or another one might be made from a combo of January and February blocks, but in general they will probably not be "sampler style" like the ones "to keep." Each month we'll introduce the BOM, have a short tutorial, and show some different examples of the blocks in different color schemes. After the meeting the BOM links will go up on the BOM tab on the blog home page. The charity group color schemes are scrappy, black & white with a pop of color, and ROYBGIV (Red/Orange/Yellow/Blue/Green/Indigo/Violet). We formed some charity bees at the meeting to go hand in hand with the BOM charity program. If you did not get into a bee and would like to, you will have the opportunity to join one at February's meeting, or feel free to create your own. When you do, be sure to fill out the Bee Registration form from the Bees tab on the blog home page. Before you do so, check with your group to decide on a group name, how many blocks you would like for your first quilt, and which color scheme you would prefer to work with. Also, each charity group is free to pick whatever charity is close to their hearts to donate their finished quilt to. The way we signed up at the meeting was to have one person be the host, ie organizer, one person to piece the front, one person to piece the back, one person to quilt, and one person to bind the quilt. Of course these roles can overlap and you can work together as a group to decide on the details. Several people have mentioned to me that they would like to see what progress the other groups are working on, and I thought it would be great to create Flickr discussion groups for each Bee. Bee members can discuss details with each other, and other guild members can pop into the thread and give support too. If you are a Bee host, please go to our Flickr Discussion page and create a new topic with the title "(name of your bee) 2013 charity bee group" or something along those lines, and then email your members with the link. 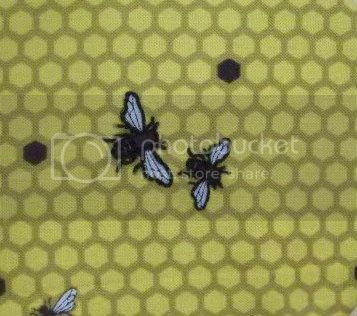 Also, feel free to upload in progress pictures of your bee's pictures to the PMQG Flickr pool as you work on your charity quilt. We will have three Charity Drives a year: March, June and September. Our first Charity Drive will be in March. Bees can register through out the months of January and February and to commit to finishing a quilt to donate to the charity of their choice during the month of March. Then at our March meeting we will have an opportunity to form new bees. A bee can continue to participate in the future drives if they want. Read PMQG member Paula Wessell's book review of Bonnie Hunter's String Fling. The Back: Wow, just wow!! Photo by Juline B.